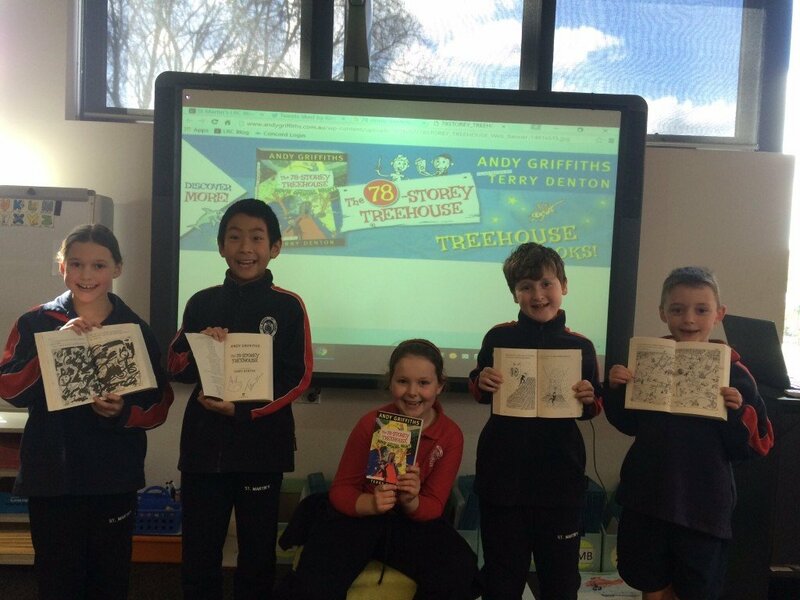 Five VERY lucky students from our school were chosen to go on the Kids’ WB show to meet Andy Griffiths and Terry Denton after they sent an email saying why they were BIG fans of their Treehouse series. 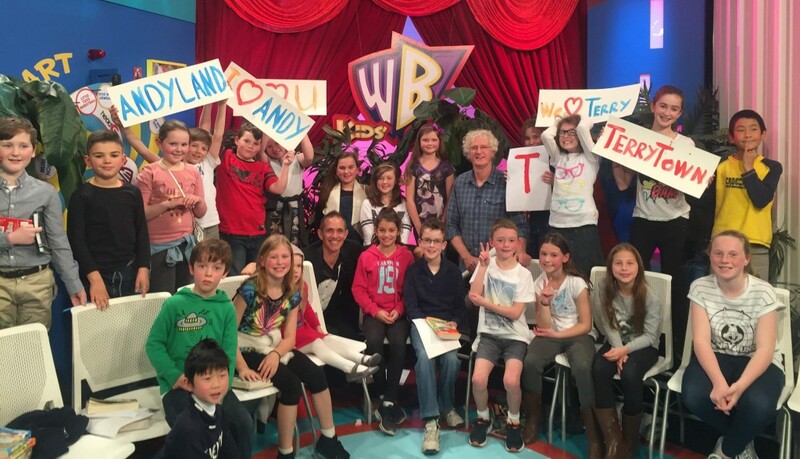 A HUGE thank you to everyone at Kids’ WB for selecting our five students for this fabulous experience and making reading FUN! When I went to Kids’ WB there was a race between Andy and Terry. You had to pick Team Andy or Team Terry. They started off at the Popcornado and had to fill their popcorn box up. Then they ran out to find a magic ticket. Then they had to dodge some obstacles and jump on to a chair. They tried to wrestle each other off the chair, but they tied. I got a Splat-It from behind the chair and shot Shane Crawford in the face. This entry was posted in Uncategorized and tagged Andy Griffiths, Humour, Kids' WB, Terry Denton, Treehouse series by smotlrcblog. Bookmark the permalink. What a fabulous opportunity to meet Terry and Andy! Wow! It sounds like the experience was one they will never forget. I liked how they held open their favorite page. The treehouse mobile is pretty amazing as well. It certainly was an amazing experience for these five students to meet Andy and Terry and to go on television! I loved hearing the animated recount of the day from the students and we are all looking forward to watching them and all the fun on Kids’ WB next weekend! Lucky kids! I’ll be tuning in next Saturday to Kids WB to watch. JP (2VL) has already finished his copy of the 78 storey treehouse, he loves the books too. 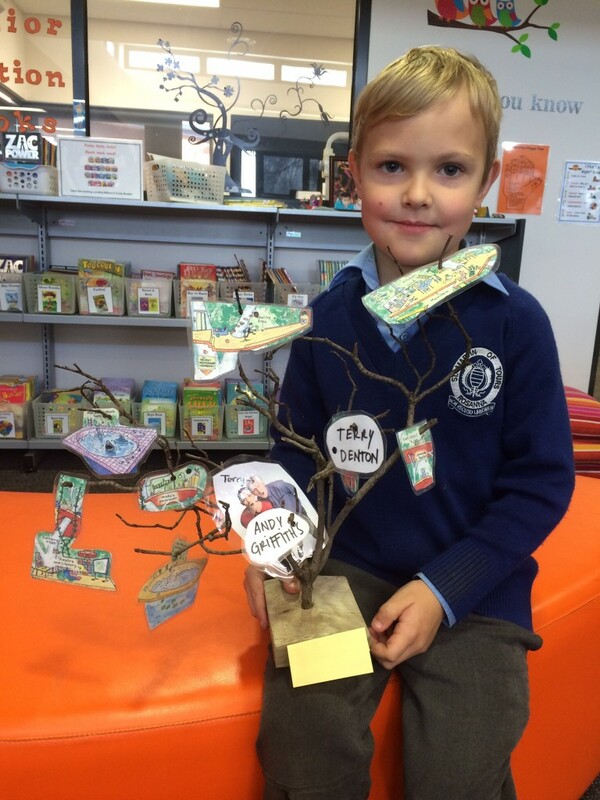 Also love the treehouse made by the year 1 student! Awesome! I’ll be watching Kids’ WB too and looking for some familiar SMOT faces!